The 2018 Tema Community Basketball League Regular Season has come to an end ushering the start of the playoffs to determine the winner of this year's campaign. 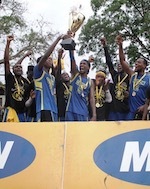 The playoffs tipoff on Sunday October 14 at Tema Community 4's Court. 2016 Champions Nungua Coldstore clinched the first seed winning 17 of 18 games. A shock loss to Francophone Stars was Coldstore's sole loss this season and the side takes on eight seed Teshie Rangers this weekend. Rangers had a losing record winning just six games and losing 12 games in 18 appearances this season for 24 points and is the only side with a losing record to make the playoffs. All playoff games will be a three game series. Two time finalist and second seed Ashaiman Lions play seventh seed Teshie Vikings with the latter team as one of two debutants to make the postseason. Lions had 13 wins while Vikings had nine wins in 18 games respectively. Francophone Stars, despite making its debut this season announced the team is here to stay recording big wins. 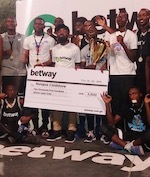 Stars beat Coldstore and topped defending champions Community 4 with a 37-29 win. The two teams face off in the biggest draw of the round as Francophone ended fourth. Third seed Tema Heat faces sixth seed Tema Community 2 in an all Tema showdown.